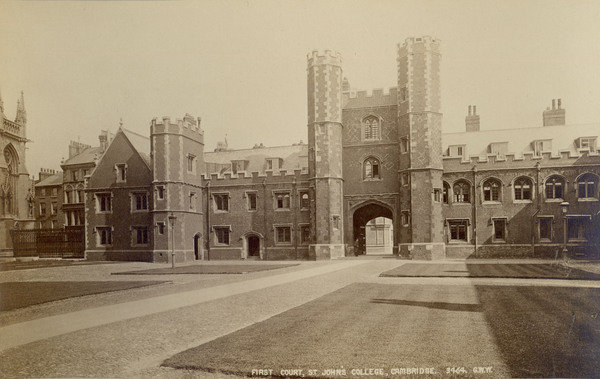 This photograph depicts the entrance to the first court of St. John's College at Cambridge University, a building which inspired the style of some Bryn Mawr College buildings. “St. John's College, Cambridge University,” The Albert M. Greenfield Digital Center for the History of Women's Education, accessed April 19, 2019, http://greenfield.brynmawr.edu/items/show/478.